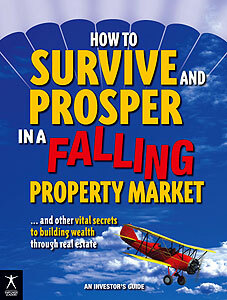 Learn how to invest for PROFIT and SAFETY in a changing property market. Get the inside story on what happens as the property cycle turns. These veteran investors and expert authors share essential facts, advice and wealth-building strategies for today’s property investor. Read this clear and accessible handbook to learn how to both safeguard and increase your real estate assets as the market changes. bargain-hunting strategies — and how to recognise a ’bargain’ that isn’t! Andrew King is the author of two best-selling books, Create Wealth: Residential Property Investment in NZ and Planning for Property Success. As a long-time officeholder in various property investor associations, Andrew is a high-profile and respected media spokesman on residential property. Mark Withers is a specialist property accountant, advisor, residential and commercial investor and the author of Property Tax – A New Zealand Investor’s Guide. Mark’s practical and plain-talking advice is based on years of experience dealing with thousands of transactions for his clients and his own investment property portfolio. Tony Steindle is a lawyer whose practice covers all aspects of real estate law. His clients include investors of all sorts, as well as developers and commercial landlords. Tony is the author of Property Law – A New Zealand Investor’s Guide and a sought-after advisor and speaker on legal issues affecting property investors. Peter Aranyi is the author of Commercial Real Estate Investor’s Guide and editor of several best-selling books on property investment. His training company Empower Education is a trusted source of practical and impartial information — and part of the success of thousands of property investors throughout Australasia. You will benefit from the vital insights these investors bring from their wide experience. Is ‘Brexit’ what the worldwide property bubble has been waiting for (without knowing it)? Empower Education	Content © Copyright 2001-2019 Empower Leaders Publishing Ltd. All rights reserved.